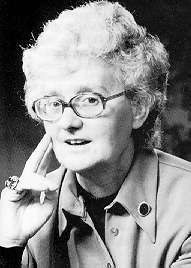 Mary Midgley is a philosophy lecturer at the University of Newcastle-upon-Tyne. Her first book, Beast and Man, deals with theoretical issues in the relationship between humans and animals. More practically, she has written Animals and Why They Matter, an influential text that challenges some of the assumptions and concepts of animal rights. Mourning and desolation are not our inventions. But because we can anticipate them, can think about them, and experience them widely in imagination, we have a graver problem - one, of course, which forms part of the price we pay for the joys and uses of imagination But the way to face this problem cannot possibly be the dualist one - the way of identifying our real selves exclusively as soul or intellect, while drawing up the ladder that connects this aspect with the rest of our nature. We cannot dismiss our emotions and the rest of our nonintellectual nature, along with the body and the earth it is fitted for, as alien, contingent stuff. We have somehow to operate as a whole, to preserve the continuity of our being. This means acknowledging our kinship with the rest of the biosphere. If we do not feel perfectly at home here, that may after all have something to do with the way in which we have treated the place. Any home can be made uninhabitable. Our culture has too often talked in terms of conquering nature. This is about as sensible as for a caddis worm to think of conquering the pond that supports it, or a drunk to start fighting the bed he is lying on. Our dignity arises within nature, not against it. People in general have perhaps thought of animal welfare as they have thought of drains - as a worthy but not particularly interesting subject. In the last few decades, however, their imagination has been struck, somewhat suddenly, by a flood of new and fascinating information about animals. Some dim conception of splendours and miseries hitherto undreamt of, of the vast range of sentient life, of the richness and complexity found in even the simplest creatures, has started to penetrate even to the least imaginative. For the first time in civilized history, people who were interested in animals because they wanted to understand them, rather than just to eat or yoke or shoot or stuff them, have been able to advance that understanding by scientific means, and to convey some of it to the inquisitive public. Animals have to some extent come off the page. With the bizarre assistance of TV, Darwin is at last getting through. Town-dwellers are beginning to notice the biosphere. ... the colossal confidence which many eighteenth and nineteenth century intellectuals used to feel in the absoluteness of human dominion. To their minds, human dignity justified and depended on a total separation of man from all the rest of creation. That's why they got such a shock when the Origin of Species came out. Someone who has buttressed his sense of his own dignity by allowing no dignity at all to anybody else, naturally feels any suggestion of a relationship with those others as intolerably degrading. The separatist Position.